Ex Phoenix Dragon is the annual Ski training package for 101 Force Support Battalion, Royal Electrical and Mechanical Engineers. Taking place in January each year it aims to expose soldiers, young and old to the mountain environment in physically testing conditions to develop their leadership ability, their self knowledge and physical determination. 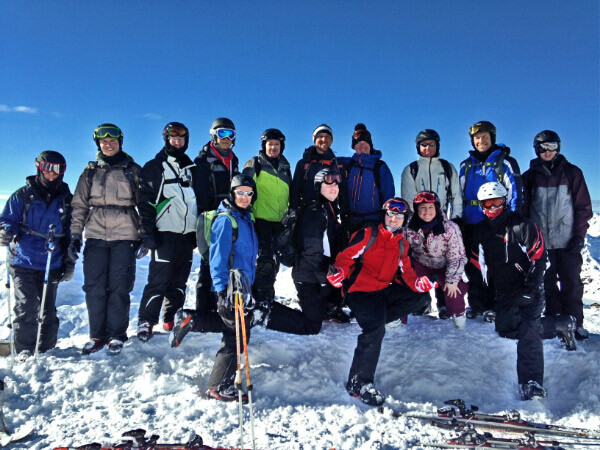 So it was, that on a very snowy morning on the 18th Jan 13 the 40 lucky individuals set off from Coventry for the 20 hour journey to Meribel in the French Alps. The sleeper coach, I say that lightly, took us through the night arriving about 11:00 hrs Saturday. Tired and hungry, we were fed and watered by the advance party and put into very adequate accommodation. Ski’s, boots and poles were drawn and fitted from a local shop for those who were new to the sport with the more experienced fitting touring equipment bought from the UK. Sunday morning at 08:45 saw us all at the bottom of the nearby ski lift and off up the mountain we went in our respective groups. Now, prior to the exercise, all participants are asked their skiing ability and it really has nothing to do with size! With cries of “I’m not going down there” the groups were reorganised into their “real ability” and we got down to some serious instruction. There were four groups and further changes were made during the week with personnel progressing, or not, faster than others. The first casualty was on the first day, a broken ski from the touring group, (no problem we had a spare), however on the second day we lost a ski in the deep powder while touring. This is not unheard of, but after an hour looking for the ski by the group, and time becoming short for the long trek back, the instructor, amazingly, was able to ski back on one ski after fitting one of his ski’s to the students bindings. No mean feat! The rest of the week went very well as personnel found their ski legs. 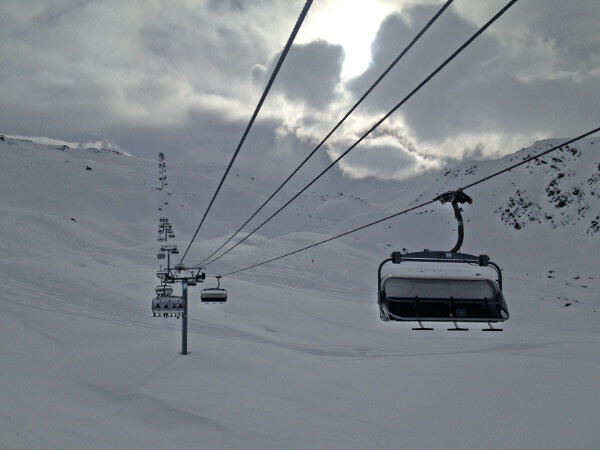 The 3 Valees, of which Meribel is a part, is the largest linked skiing area, probably in the world, with terrain for all ability groups and masses on off piste for touring. It really is the most ideal location to take non-skiers to very advance touring groups. All too quickly the week was over and we were handing back our equipment and preparing for the long haul home. Leaving Meribel at 1600hrs on Saturday 26th Jan we headed through the night back to the UK arriving at Coventy at 1100hrs the next day. All very tired! Exercise Phoenix Dragon is a major event for 101 Battalion and hugely popular. It bonds us together as a team, promotes retention and develops our personnel. If there are doubters out there who believe this is a holiday then please come along one year. The Exercise is arduous and dangerous, it develops skill sets, pushes the personal envelope and brings us together. But above all, and most importantly, its fun! Lastly we would like to thank the Ulysses Trust for their continued support to the Battalion without which many young soldiers would not experience the thrill of this amazing sport. Thank You! 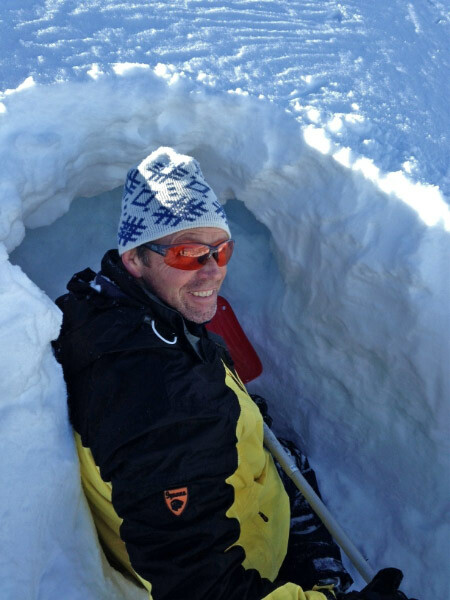 Capt Wilson demonstrates how to make an emergency snow shelter, used when things go wrong. (And still looking for the ski)!